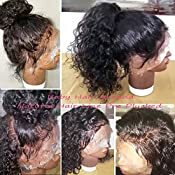 Good News:Now buy 12' 16' 130density lace front wig, 14'16' 130density full lace wig, about 2-4 days you can receive it, but it is the default medium cap size,medium brown lace,natural color hair. 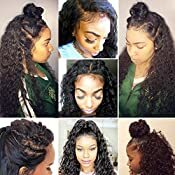 1.Item Type: 100% unprocessed virgin wave human hair with baby hair around,natural hairline. 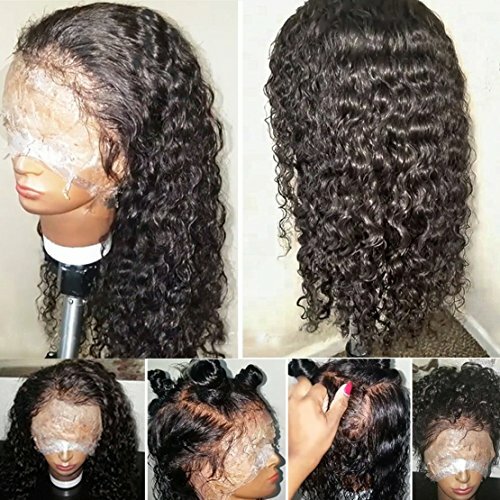 2.Material: 100% Brazilian Virgin Human Hair. 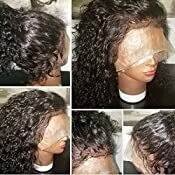 3.Hair Wig: Full Lace Wigs/Lace Front Wigs. 5.Density and Length in the Picture: 20 inch and 150% density. 6.Hair.Hair Density and Color: 130%(150% 180% Need Extra Fee).#1b,#1color are FREE to dye for you. 7.Cap Size and Color: small cap medium cap large cap size. 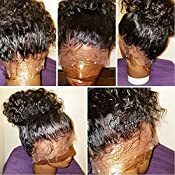 medium brown or dark brown lace color.glueless cap with 4 combs and can adjustable. 1.Cap size: small, medium or large. 2.Lace color: medium brown or dark brown. If not, we will arrange the order by medium cap size and medium brown cap color. If you want to return the wig for some reasons, please don't cut the lace and contact with us at the first time.Thanks! If you like our products, welcome to share your beautiful photos to other customers; If you do not like it, don't worry, dear! Please feel free to contact our customer service, we will do our best to help you in the first time. Kind Remind:Best delivery and fast shipping,24 hours online service,after-sales service guarantee.If you have any questions,You can feel free to contact with me.I will do my best to help you.